Jacksonville Jaguars defensive end Dante Fowler Jr. was arrested in his hometown of St. Petersburg, Florida on multiples charges on Tuesday night. 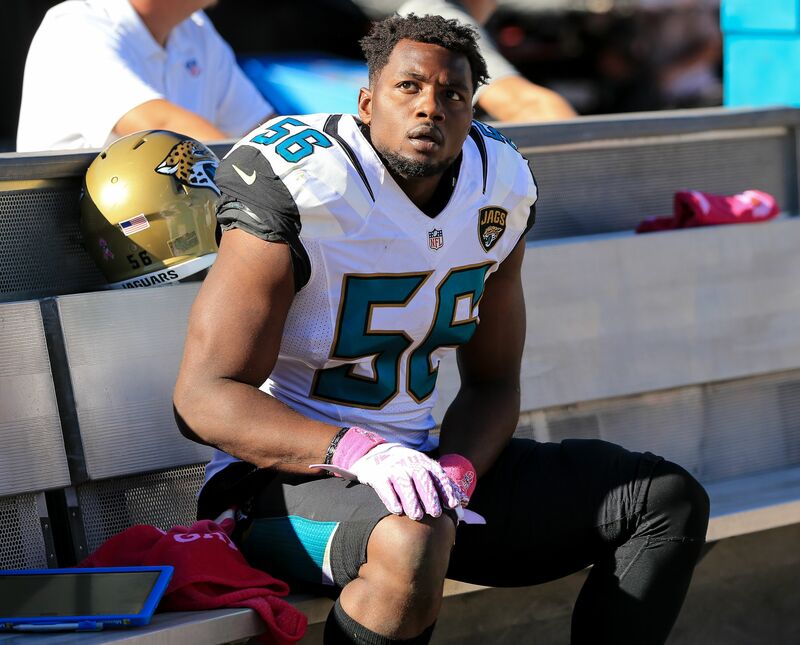 For the Jacksonville Jaguars to right their sinking ship in 2017, they’ll need a big season out of key members of its defense like defensive end Dante Fowler Jr. After missing his rookie season in 2015 with a torn ACL, he managed 4.0 quarterback sacks and 23 tackles in 2016. On Tuesday night, he was arrested on multiple charges in his native St. Petersburg, Florida. Tampa Bay Buccaneers beat writer Greg Auman for the Tampa Bay Times spelled out what went down on Tuesday night in a strange incident involving Fowler. He was reportedly arrested on charges of simple battery and mischief. Essentially, Fowler got into an altercation with a man at a St. Petersburg apartment complex. Fowler “got out of [his] car, hit a man, knocked [his] glasses and stepped on them. To exacerbate things, Fowler allegedly threw the man’s bag of recently purchased liquor into a nearby lake. Fowler’s arrest came in argument in apartment complex — police say Fowler got out of car, hit a man, knocked off glasses, stepped on them. Police say man was walking in apartment complex, criticized Dante Fowler’s driving. Fowler got out, exchanged words, then hit the man. Police say Dante Fowler then took victim’s grocery bag, with “recently purchased liquor,” and threw it in a lake. Jacksonville had used the No. 3 overall pick in the 2015 NFL Draft to draft Fowler out of the University of Florida. The Jaguars took Fowler ahead of other prominent collegiate defensive ends like the USC Trojans’ Leonard Williams and the Clemson Tigers’ Vic Beasley. Williams went No. 6 to the New York Jets. Beasley went No. 8 to the Atlanta Falcons and led the NFL in sacks in 2016. Overall, Jacksonville should have one of the better defenses in football. However, guys like Fowler need to step up for the Jaguars to get out of the AFC South cellar. This arrest is obviously not a good look for him or the Jaguars organization. He still perform on the field, but it wouldn’t be out of the question for Fowler to bust like so many Jaguars draft picks before him. In Todd Walsh’s first year as Jacksonville’s defensive coordinator, hearing about a former top draft tossing some guy’s bag of liquor into a lake and getting arrested is not great at all.